A 60 minute journey of cleansing your mind of negative thoughts & emotions as you visualize yourself free falling through the different layers of ether. This is no ordinary process. Each layer will cleanse you first and then fill you completely with exclusive abilities that you need in this moment. Experience the waves of sound though a medley of sound healing instruments as they deepen your experience by immersing you into the depths of inner quiet and bliss. Chant to invoke the purity and strength of water. 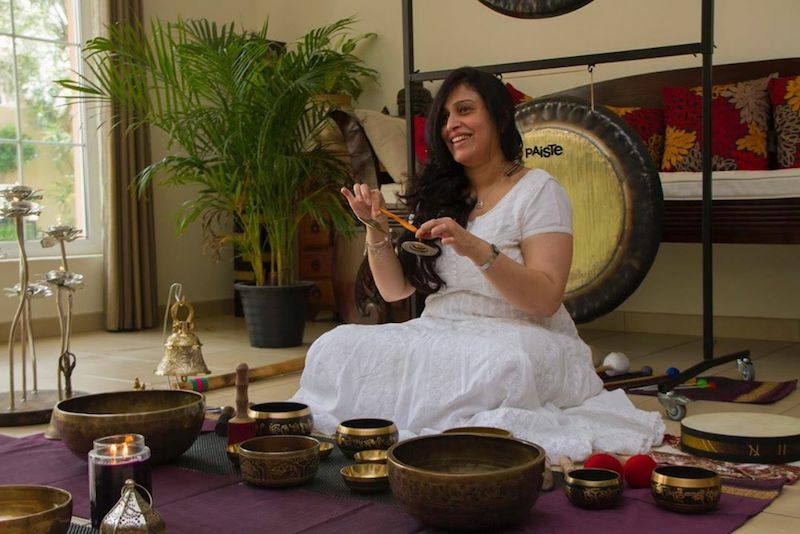 Gong Yoga, Hand Mudras, Breath Work & Aroma Therapy interwoven by Anuradha.